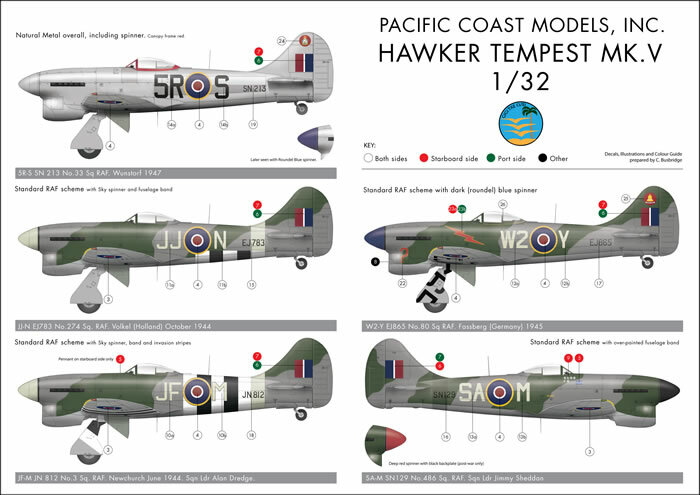 Pacific Coast Models would like to announce the forthcoming release of an all new injection molded kit of the Hawker Tempest Mk V in 1/32nd scale. This kit is in the final stage of production, as you can see from the images. An announcement will follow shortly when it is released. 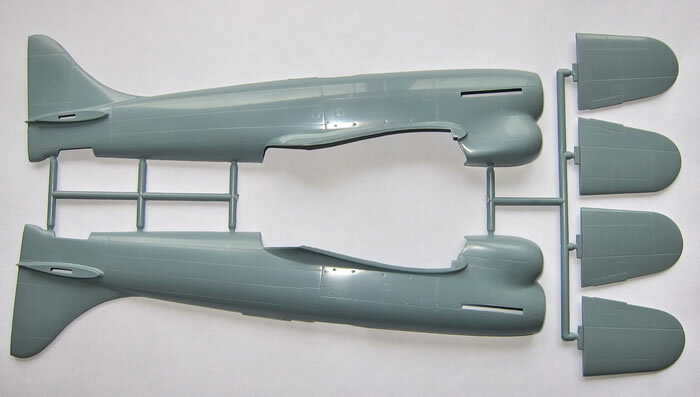 The photo below shows a test shot of the production fuselage with the corrected tail planes. 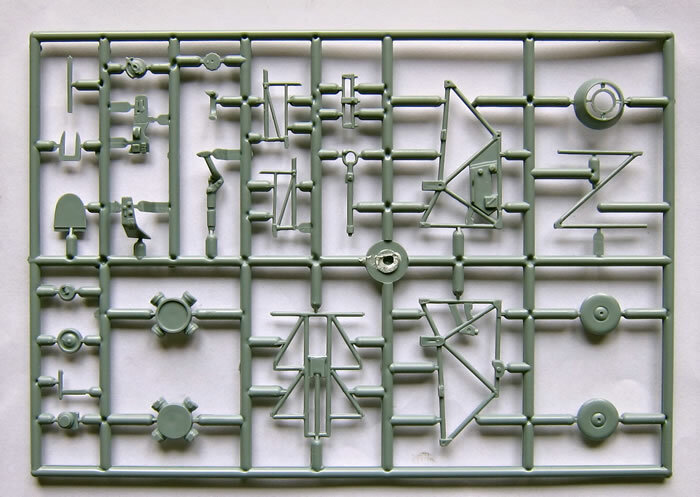 And here is a photo of the last sprue for the small parts sprue #2. This all new kit has been based closely on well respected Tempest drawings, as well as study of surviving airframes. 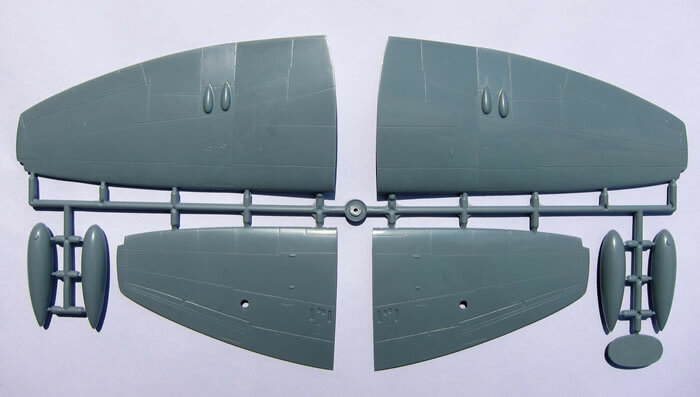 The fuselage length is accurate, and the wing and fin cross sections are accurate, problems that have been noted on other Tempest kits. The project has been overseen by Roy Sutherland of Barracuda Studios to ensure accuracy, and he worked closely with noted Tempest expert Chris Thomas on the markings for this kit to make sure they are authentic.. 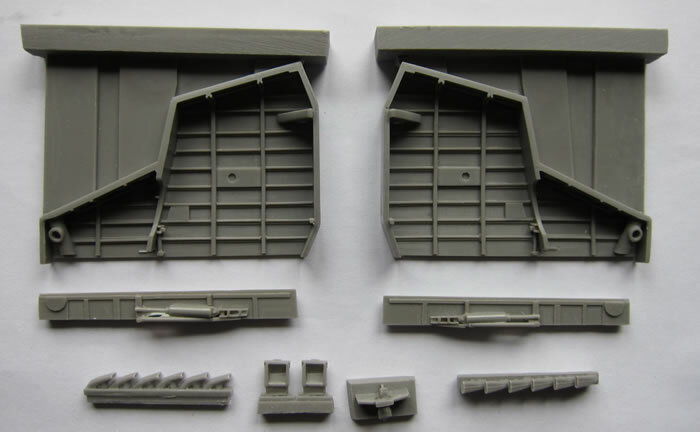 The kit consists of injection molded parts with petitly scribed panel lines. Note that the drop tank pylons have been molded in clear plastic, as were the real ones - a first for a model kit of the Tempest. The decals were printed by Cartograf and the colors have been carefully matched to actual British color chips. 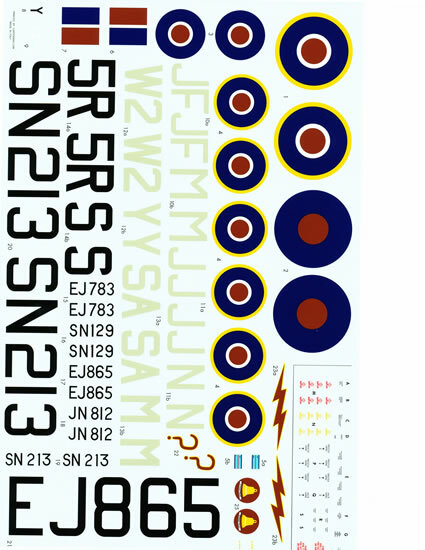 The decal sheet provides the modeler with a full suite of stencils, as well as markings for five Tempests, ranging from the earliest days of service wearing full D-Day striping to 2 postwar schemes, one being in an overall natural metal finish, for a nice change of pace, a full color painting and decaling guide is included as well as full assembly instructions. 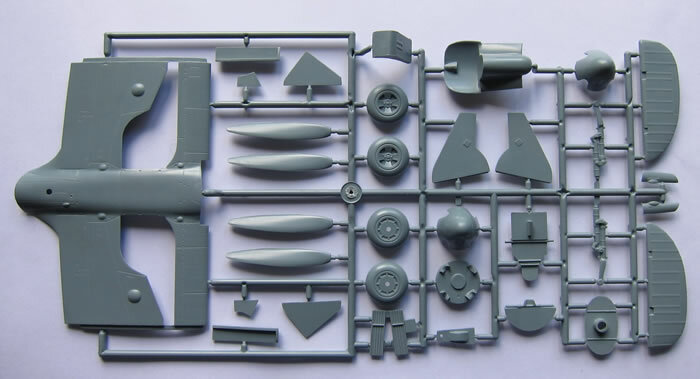 A number of detailed resin parts are included, as is a fret of photoetched parts, most of which are destined for the detailed cockpit. 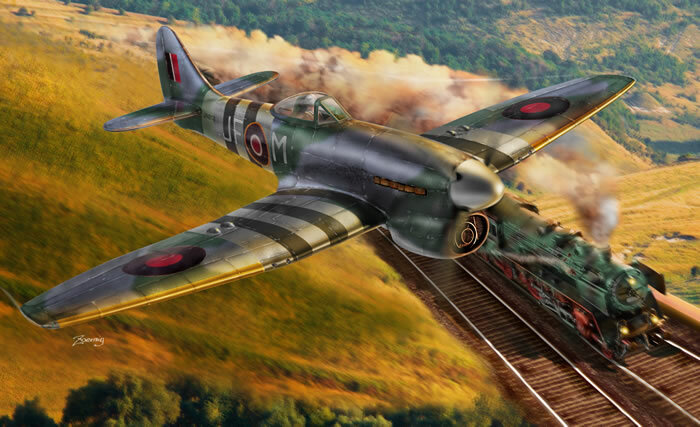 We are very excited to add the mighty Tempest V to our line of 1/32nd scale kits. It fills a large and important gap in the line of RAF fighters of the 1940s.